In a new book, author and former school superintendent Mary Herrmann examines the factors that support effective decision-making by school leaders and the teams in their organizations. Herrmann is a professor of education policy, organization and leadership at the University of Illinois. 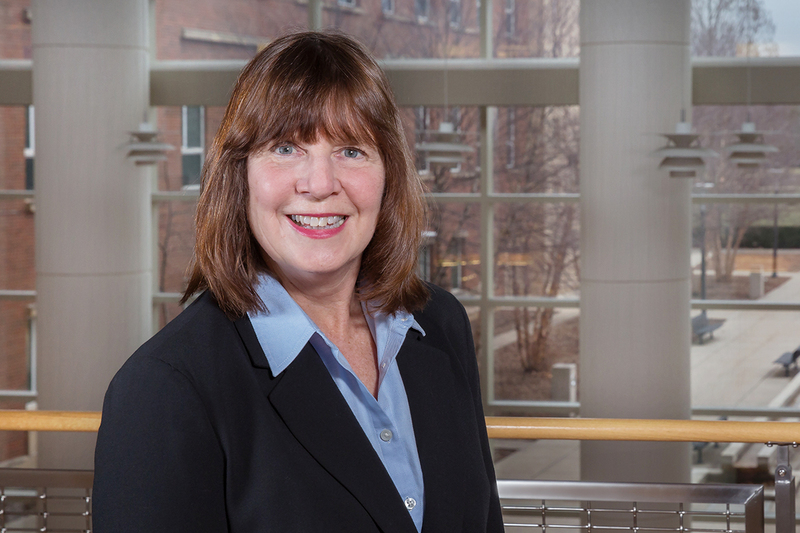 CHAMPAIGN, Ill. — The willingness and courage to make decisions is what distinguishes leaders from other people, according to the author of a new book that examines the processes and skills that support effective decision-making. “Decide to Lead: Building Capacity and Leveraging Change Through Decision-Making” examines the ways in which leaders think about, understand and create the conditions for making effective decisions. Although author Mary Herrmann focuses on decision-making in the context of education administration, where Herrmann spent a large portion of her career, most of the processes and influences she discusses in the book are applicable to leaders of private-sector companies and other organizations. Herrmann said she was inspired to write the book because she found few resources that examined the many dimensions and intricacies related to decision-making for the leadership classes she teaches and when she was revising the curricula for the University of Illinois’ education doctoral program for school superintendents. Herrmann is a clinical assistant professor of education policy, organization and leadership at the university. Book cover: “Decide to Lead: Building Capacity and Leveraging Change Through Decision-Making” is published by Rowman and Littlefield. Although many resources exist that describe more prescriptive models for decision-making, Herrmann wanted to delve deeper, examining how a leader personally understands, influences and sets the conditions for making effective decisions. Analyzing decision-making through the lens of a leader, the book’s three sections explore what leaders know about themselves, others and their communities; how leaders think, focusing on the cognitive systems and forces that influence decision-making, and the conceptual frames that help them construct meaning; and what leaders do to create the conditions for effective decision-making within their organizations. Herrmann explores the critical roles of teams and networks in organizational decision-making, including the power of social networks and opinion leaders to influence behavior. She also discusses psychologist and business consultant Susan Wheelan’s eight principles for promoting high-level team performance within organizational cultures. At the end of each chapter, Herrmann provides questions for readers to reflect on in applying the principles in the book to their own organizations, teams and work groups. “How leaders choose to frame decision-making – whether they distribute leadership or delegate responsibility for decision-making – they’re still held accountable for those decisions, so it’s really important to make sure as a leader that you’re preparing your team well, that you’re getting diverse perspectives and you’re not insulated. There are so many reasons why it’s important to be thoughtful and mindful of decision-making within that larger context,” Herrmann said. Regardless of the size of the school district, “the one thing that we all have in common as leaders is we are held accountable for all the decisions that are made, regardless of whether we personally make them. And that is an incredible responsibility,” Herrmann said. 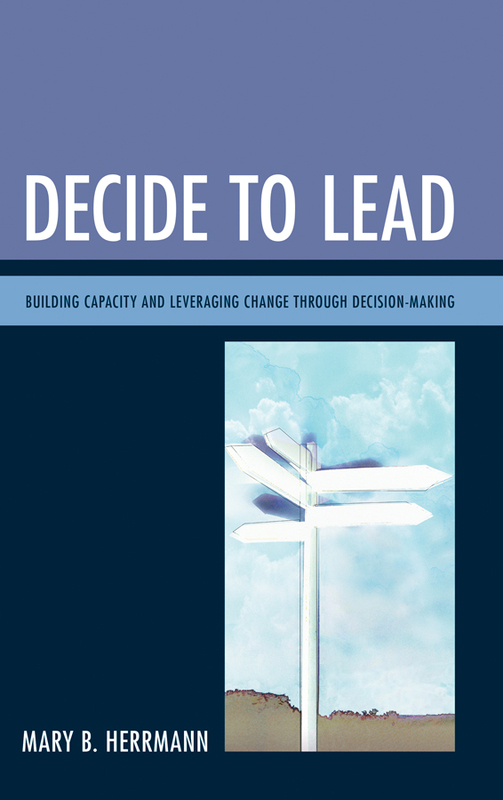 “Decide to Lead: Building Capacity and Leveraging Change through Decision-Making” was published by Rowman and Littlefield.